This is the one! Your very own 3BR PENTHOUSE SKYBOX SUITE! 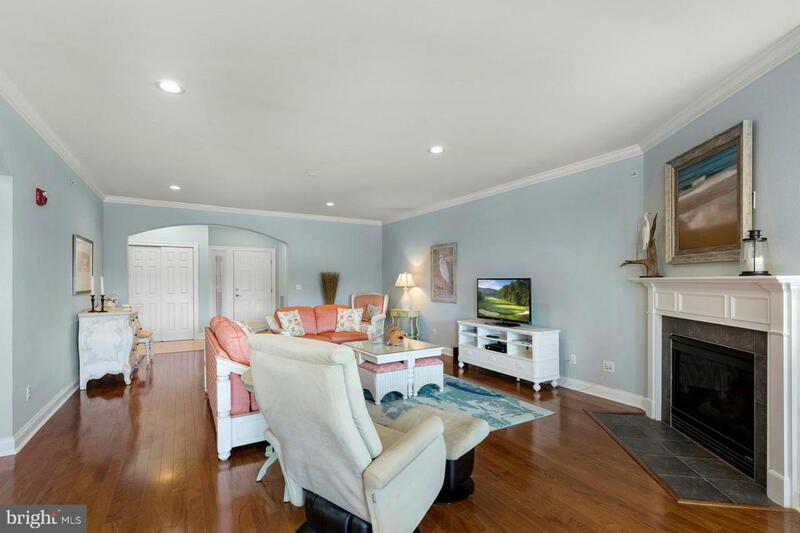 This luxurious suite is located overlooking it ALL! Sitting on either of your 2 balconies you will be treated to endless panoramic views of the 18th Hole of Bayside's Jack Nicklaus designed golf course directly overlooking the Bayside Lake and with a perfect view to watch all of the popular music acts that perform on The Freeman Stage! Park in your large 2-car garage with additional storage room and then take a private elevator to your very own front door. This is LUXURY. This top-floor unit has never been rented but has been very tastefully upgraded with remote controlled window blinds, new washer/dryer and the entire unit has been freshly painted. 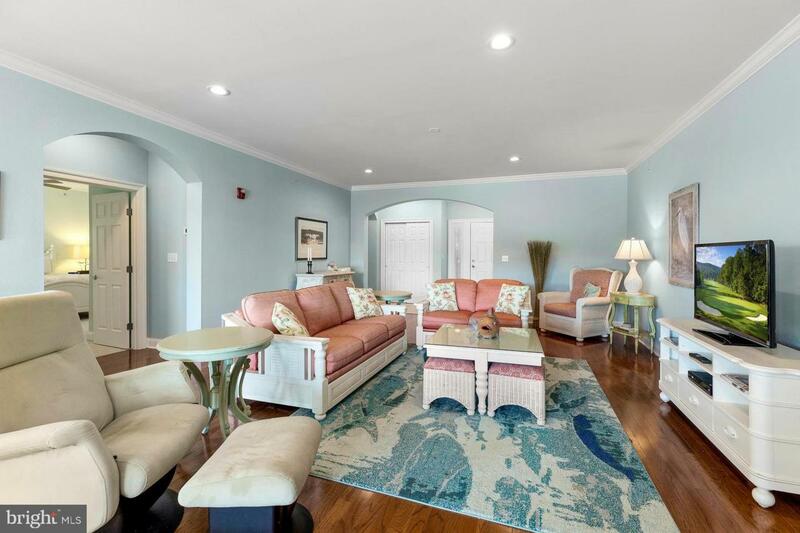 The views will grab your attention but not before you're greeted by the beautiful hardwood floors and newly upholstered living room furnishings. The open kitchen features stainless appliances with granite countertops. The master bedroom features a morning balcony where you can sit and enjoy your coffee as the sunrises over the lake and golf course. The ensuite bathroom with dual vanities gives you a spa feeling and a luxury master bedroom wouldn't be complete without a over-sized walk-in closet! With 2 additional bedrooms and bathrooms in a separate wing of the unit your guests will feel like they are in their own private hotel suite. 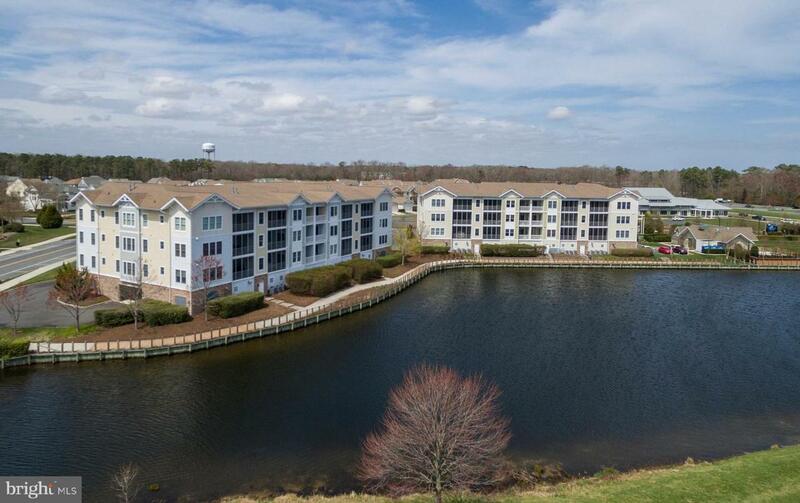 On top of all else is the convenient location within easy walking distance to The Cove Restaurant, The Indoor Aquatic Center with brand new fitness center, The Freeman Stage and the Bayside shopping center. Bayside amenities features 5 total pools all with food and beverage options--The Cove Restaurant--Sun Ridge Community Center with clay and hard court tennis courts, pickleball league, volleyball court, full basketball court and fitness center--The Point which features kayaking, canoeing, crabbing, fishing and of course the 38 Degrees Point Pool Bar & Grill--walking paths, nature trails and playgrounds--the list is endless! 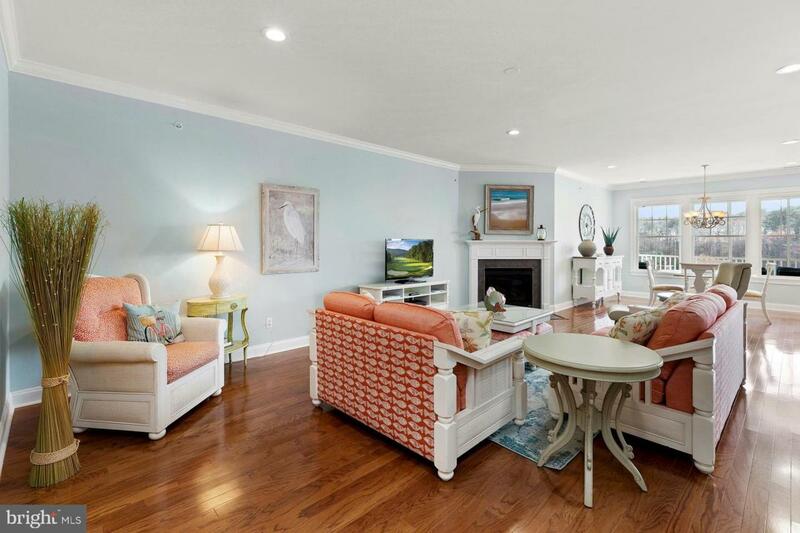 Now is the time to Live Bayside & Live The Vacation!